As a litigator and managing partner of the firm’s Montgomery office, Bobby Poundstone frequently represents clients in litigation matters pending in federal and state trial and appellate courts. He is AV Preeminent Rated by Martindale-Hubbell®and has experience in both the courtroom and presenting oral arguments to the Alabama Supreme Court. Bobby also represents clients in matters pending before the Alabama Public Service Commission and other state regulatory agencies, and he routinely provides legal advice to business clients. Bobby’s practice covers a wide variety of litigation matters and clients. He routinely handles “bet the company” and other business litigation matters. This experience includes shareholder litigation, contract disputes and class action defense. Bobby has represented dot-com and e-commerce entities in various types of litigation. He successfully defended a challenge to a gas utility’s authority to conduct business and is currently defending multiple electric cooperatives in class action lawsuits pending in Alabama state courts. Bobby also represents a media company and its television stations in various litigation matters. Bobby is recognized by Best Lawyers in America for Healthcare Litigation. He has successfully defended a challenge to a CON awarded to a hospital and also handled litigation relating to an agreement to purchase a mental healthcare company. His healthcare-related practice also extends to defending pharmaceutical companies in marketing, sales practices and products liability cases. 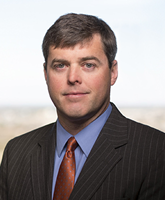 He has served on the national defense teams for multiple MDL matters involving the firm’s pharmaceutical clients.